Risk Communication planning efforts approach crisis or disaster events from an all-hazards perspective. This plan supports overarching measures to support continuous emergency public information operations during any crisis. These measures may be applied in a variety of combinations or strengths, suited to the nature and scope of the event. A special effort will be made to keep the public informed of the general progress of events. Reporting positive information regarding emergency response will help to reassure the community that the situation is under control. Rumor control will be a major aspect of the informational program. Correcting misinformation will be a risk communication priority. To the best of our ability, we will prepare appropriate messages anticipating public anxiety and negative perceptions, or reactions to situations. Education efforts will be directed toward increasing public awareness about potential hazards and how people should prepare for them. All information and education efforts will rely heavily on the cooperation of every type of media organization, departmental resources and partner capabilities. 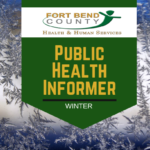 Fort Bend County (FBC) may face a number of hazards, which may cause emergency situations. During emergencies, the public needs timely, accurate information on the emergency situation and appropriate instructions regarding protective actions that should be taken to minimize injuries, loss of life and damage to property. Emergency Alert System (EAS) broadcasts by radio, television, and cable companies. Special news broadcasts by radio, television, and cable companies. Time Warner Cable public access channel. Reverse 911 (telephone warning/information system). Mobile units with public address systems. Recorded information on the Citizen’s Information Hotline. Visually impaired: EAS messages and news advisories on radio, NOAA Weather Radio, or by door-to-door notification. Non-English Speakers: Community liaison volunteers. Prisoners: EAS messages and news advisories. Senior Citizens/nursing homes: Personal contact/volunteers.